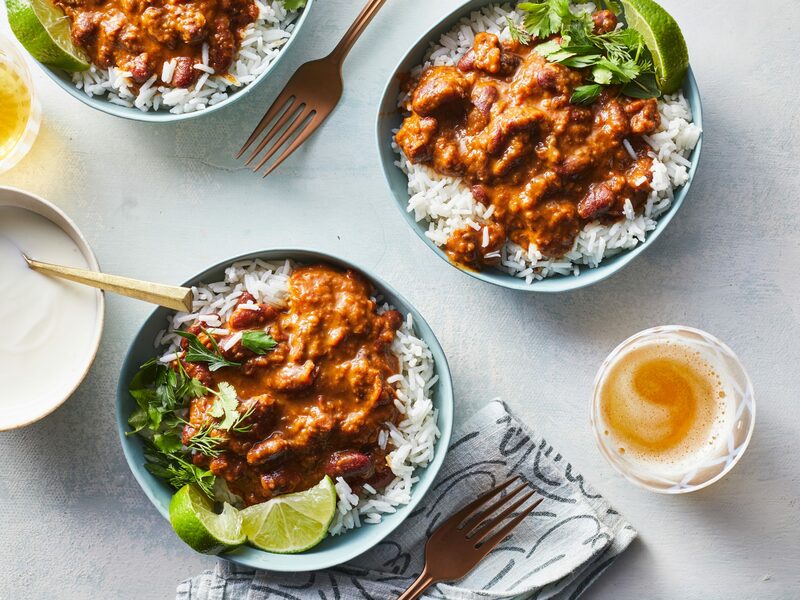 Thanks to the trusty Instant Pot, your favorite Indian recipes can easily be whipped up on a weeknight. This warm hug from a bowl of lentils made our developer want to buy an Instant Pot in a way that no other recipe has. The stew is buttery and slightly spicy with a creamy texture that still has a little bite, thanks to the lentils. While the ghee is optional, it really does take this indulgent dish to a real over-the-top place that you definitely want to go. You can get a head start by chopping your onion, jalapeño, garlic, and ginger the night before. You can also make the toasted buttery spice mixture a day ahead and stir into the hot lentil mixture. No need to wait hours for whole milk to thicken: Using half-and-half and cooking in the Instant Pot gives this rice pudding a head start. The delicate and lovely rose syrup highlights the floral notes in the cardamom, while the tart apricots tame the richness in the pudding. If rose water isn’t your thing, try orange blossom water, which can easily be found in an international market. Don’t, however, substitute standard long-grain rice for basmati. A comfort food favorite, carrot halwa is warmly spiced, saccharine, and rich—like hug in dessert form. The Instant Pot cuts down on the long process of simmering carrots in milk, slashing the prep time, cardamom adds a distinct floral flavor, and mace brings mild, warm pepperiness. This comforting dish is nutty, earthy, and slightly lemony. It’s often given to people who are sick and is packed with nutrients thanks to the lentils, turmeric, and ginger. For optimal flavor, use cumin seeds rather than ground cumin, and temper them in ghee or oil. In a pinch, split yellow peas also make a good base. This chutney is slightly sweet and spicy, with a pleasant lingering heat from the Serrano and del arbol chiles. The sharp pops of flavor from the pickling spices mimic the flavors you’d find in North Indian cuisine. The orange juice and lime juice add some acidity and sour flavors to balance the natural sweetness in the mangoes. It’s the perfect cooling accompaniment for curries or fried samosas, but it would also work well on a cheese board. Rajma Masala is a popular dish in northern India with bright and fragrant qualities. 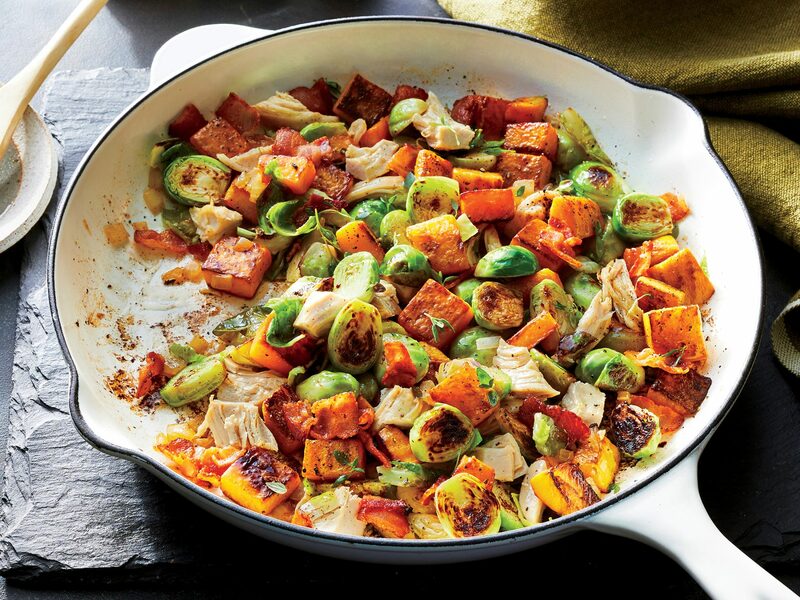 It’s very flavorful, and the depth of flavor from pairing fresh ingredients and spices creates something that’s refreshing and comforting at the same time. Adding some yogurt at the end helps thicken the dish, but the most important ingredient you can use here is good quality vegetable broth. Serve over basmati rice with ghee, extra yogurt, herbs, pickles, and lime wedges on the side. This delicious meatless recipe is a quick and easy swap for the traditional chicken tikka masala. And the best part? It only requires 10 minutes of prep time. Let your Instant Pot do the rest. This Indian-inspired slow-cooker chicken recipe only requires 14 minutes of your time to prep. 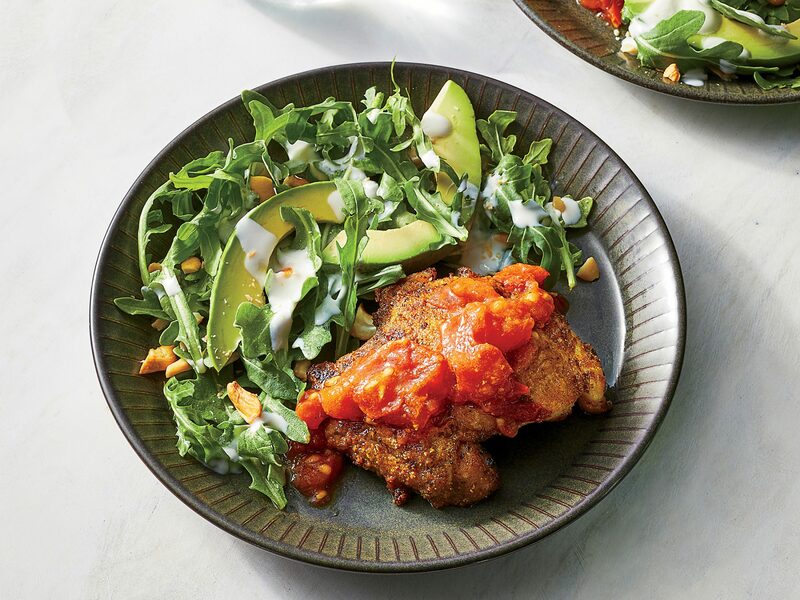 This delicious Indian chicken dish meets the slow cooker for a meal you can prep in a superfast 15 minutes and let cook, all while you head to work.